Oil Prices: Lower For Longer? The latest forecasts make for happy reading in Asia. Asia’s oil and gas consumers are set to benefit from weaker prices for an extended period, while the region’s producers struggle to adjust. However, for the energy-hungry region, the latest forecasts make happy reading overall with expectations of a quick rebound in prices rapidly fading. On Tuesday, U.S. crude’s benchmark West Texas Intermediate (WTI) futures closed at $40.67 a barrel on reports of stronger U.S. inventories. U.S. crude hit a six-year low of $37.75 a barrel in August, with WTI futures now exceeding the global financial crisis of 2008-09 for their longest period under $50. Oil inventories in developed nations have reached a record of almost 3 billion barrels due to increasing supplies from both Organization of Petroleum Export Countries (OPEC) and non-OPEC producers, according to the International Energy Agency (IEA). On Friday, the average price of crude sold by OPEC exporters dropped below $40 a barrel for the first time since 2009, highlighting the cartel’s refusal to cut output as it defends market share against higher-cost producers such as U.S. shale. Yet OPEC’s strategy has been costly, with annual revenues nearly halving to $550 billion at current prices from an average of more than $1 trillion in the last five years. The pain has been felt by member nations such as Saudi Arabia, which reportedly may post a budget deficit exceeding 20 percent of gross domestic product on lower oil revenues. Increasing U.S. crude oil stocks point to further weakening in prices, with ANZ Research predicting a trough in the first quarter of 2016 and a potential drop below $40 a barrel. According to the bank’s commodity strategists, U.S. shale producers have successfully slashed costs to around $22 a barrel, with increasing productivity from new wells helping them to weather falling prices. “A rig operating in the Bakken region today will drill a well that produces nearly 700 barrels of oil per day. 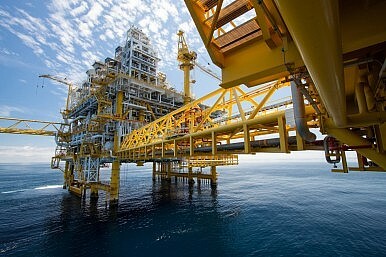 In 2011, each well drilled by the same rig produced 200 barrels. In the Permian and Eagle Ford basins, productivity has increased to 370 and 800 barrels per day from 100 and 150 barrels respectively,” ANZ commodity strategist Victor Thianpiriya said in a November 17 research report. “The downturn is at 400 days and counting, well over double the previous downturn in December 2008 which was about 150 days,” Deloitte Australia’s national director, oil and gas, Geoffrey Cann, told the Queensland Petroleum and Exploration Association on November 10. “OPEC could find itself sitting on a huge stranded petroleum asset before its members successfully engineer the shift of their economies off petroleum. How else to explain a strategy that results in an impairment of $14 trillion, just for Saudi Arabia alone?” he asked. Cann said the price collapse had transferred $1.6 trillion a year from oil producing nations to governments and consumers in oil consuming countries. But with a survey of US producers showing they would “shut in the shale wells at $15 a barrel and stop drilling at $45 a barrel,” there was little prospect of OPEC quickly squeezing out its US rivals. In its November 13 report, the IEA predicted that global oil demand growth would slow to 1.2 million barrels per day in 2016 after reaching a five-year high of 1.8 million barrels in 2015. Australia is tipped to become the world’s top LNG producer by 2018, but Cann warned that costs remained around 30 percent higher than international benchmarks, requiring further cost cutting to attract new investment. “We’ve seen a permanent reset of oil [prices] and because of that, LNG pricing to a low that is closer to $50 a barrel than $70, so you have to get fit for $50…Australia will be left with the only brownfields potential in three years’ time,” he said. A glut of LNG is expected to keep gas prices lower for longer, too. According to researcher Wood Mackenzie, an additional 130 million tonnes per year of additional LNG supply will reach the market in the next five years, pushing prices down amid faltering Chinese demand. “The LNG market is facing another oversupply which is likely to be deeper and will persist for some years. Prices in Asia will be lower than in Europe, and at their worst, between 2017-19, while prices in Europe will not reach a low point until 2020. The key question the industry is wrestling with is: how low will prices go?” Wood Mackenzie’s Noel Tomnay asked in an October 27 statement. Lower coal prices could see the floor price for gas in Europe and Asia fall to prices at which US LNG exports fail to cover cash costs, forcing US exporters to consider “shutting-in” for periods and further depressing US gas prices, the researcher said. For Asia, the losers from cheaper prices include the region’s biggest oil producer, China, followed by India, Indonesia and Malaysia, along with Australia’s emerging LNG industry. Overall though, the region is a net winner, with India and Indonesia seizing the opportunity to slash fuel subsidies while China, India and Japan have posted economic gains due to their positions as the world’s three largest oil importers. Longer term, the IEA has predicted that oil prices will reach $80 a barrel by 2020, in line with improved demand and declining output growth. However, it has not ruled out oil prices remaining around $50 a barrel through to the end of the decade, based on lower near-term growth in the global economy, a “more stable” Middle East and continued focus by OPEC on defending market share. For consumers, the economic benefits could be counterbalanced by “increasing reliance on the Middle East for imported crude oil and the risk of a sharp rebound in price if investment dries up,” the IEA said in its “World Energy Outlook 2015” report. Among factors that could trigger a sudden rebound in prices are a major war in the Middle East or East Asia, a surge in demand from China or a tsunami in Southeast Asia that damages refinery installations. In the meantime though, Asia’s consumers can expect cheap oil and gas prices to continue for some time to come, giving policymakers a much-needed free kick to growth. Higher oil prices could help much of Asia avoid deflation, although policymakers can't breathe easy just yet.